HP Debuts First PC With Built-In Leap Motion - trendistic.com: ever tried. ever failed. no matter. try again. fail again. fail better. As a PC, the Envy 17 is an outlier — its 17.3-inch screen pushes the upper limit of portability, but no doubt makes it easier to embed the Leap controller. 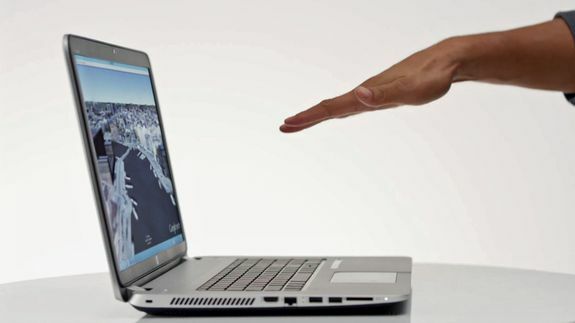 The motion sensor, which is precise enough to discern all 10 fingers on a user, is on a thin horizontal strip that sits to the right of the trackpad.